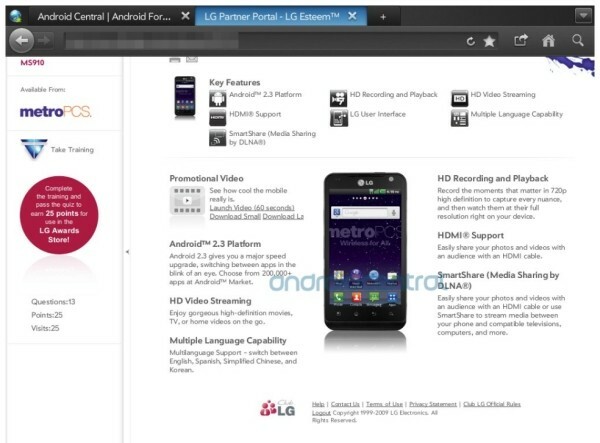 LG Esteem leaked, delivers more LTE respect to MetroPCS originally appeared on Engadget on Fri, 23 Sep 2011 12:43:00 EDT. Please see our terms for use of feeds. Old Uncle Sam seems determined to crack down on botnets, but he still needs a little help figuring out how to do so. On Wednesday, the Department of Homeland Security and National Institute of Standards and Technology (NIST) published a request for information, inviting companies from internet and IT companies to contribute their ideas to a voluntary "code of conduct" for ISPs to follow when facing a botnet infestation. The move comes as an apparent response to a June "Green Paper" on cybersecurity, in which the Department of Commerce's Internet Policy Task Force called for a unified code of best practices to help ISPs navigate through particularly treacherous waters. At this point, the NIST is still open to suggestions from the public, though Ars Technica reports that it's giving special consideration to two models adopted overseas. Australia's iCode program, for example, calls for providers to reroute requests from shady-looking systems to a site devoted to malware removal. 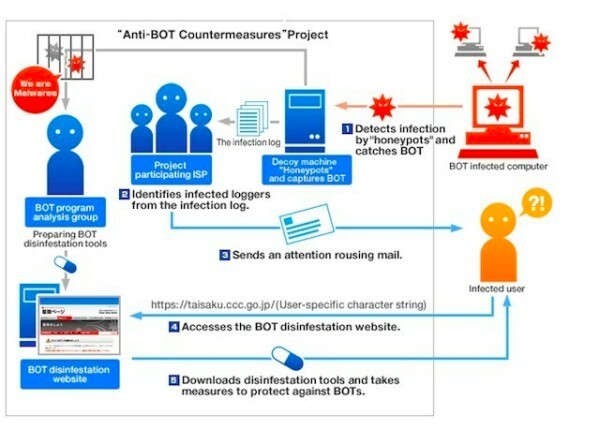 The agency is also taking a hard look at an initiative (diagrammed above) from Japan's Cyber Clean Center, which has installed so-called "honeypot" devices at various ISPs, allowing them to easily detect and source any attacks, while automatically notifying their customers via e-mail. There are, however, some lingering concerns, as the NIST would need to find funding for its forthcoming initiative, whether it comes from the public sector, corporations or some sort of public-private partnership. Plus, some are worried that anti-botnet programs may inadvertently reveal consumers' personal information, while others are openly wondering whether OS-makers should be involved, as well. The code's public comment period will end on November 4th, but you can find more information at the source link, below. US government to beat back botnets with a cybersecurity code of conduct originally appeared on Engadget on Fri, 23 Sep 2011 14:34:00 EDT. Please see our terms for use of feeds. Storage enthusiasts (yeah, there is such a thing -- what of it?) would probably tell you that PCIe-based SSDs are a dime a dozen these days. But in all seriousness, the prices we're seeing are proof that a few more competitors wouldn't hurt. A few weeks back, Austria's own Angelbird started to ship a solution that we first heard about during 2010, and we were fortunate enough to pop a Wings PCIe SSD RAID card into our Mac Pro for testing. For years, we've been booting this up and running every single application off of its stock HDD -- a 640GB Hitachi HDE721064SLA360 (7200RPM) -- as we surmise many of you desktop owners might be. Anxious to see if these are the Wings your existing tower needs to soar? Head on past the break for our impressions. Angelbird's Wings PCIe-based SSD preview and benchmarks originally appeared on Engadget on Fri, 23 Sep 2011 15:00:00 EDT. Please see our terms for use of feeds. 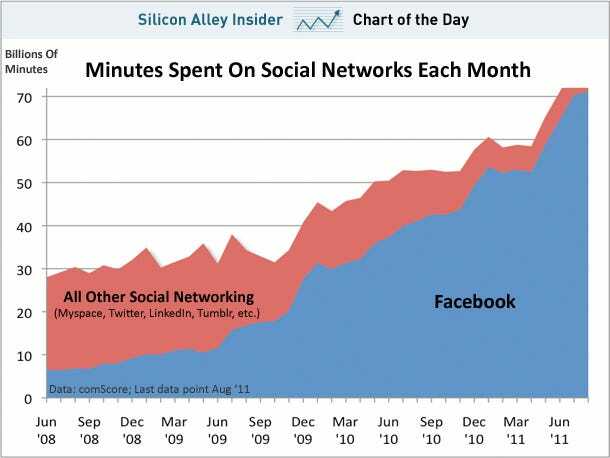 To show how thoroughly Facebook dominates the social networking landscape, comScore passed along this chart of time spent on various social networks. 90% of all time on social networks is spent on Facebook, with other social networks comprised of Myspace, Tumblr, Twitter, LinkedIn, and others, according to comScore. If you're ever injured or knocked unconscious when you're out jogging, bike riding or hiking, you're going to want rescuers to be able to access your emergency medical info easily. The VITAband holds that, plus contact numbers as well for quick reference. You could easily wear a standard medical bracelet and carry a small RFID credit card fob in your sock, but this accomplishes both of that in one go. An annual subscription is $20, and the first year is free with your $40 payment for the wristband. If you want an additional wristband (which doesn't come with a subscription), that's just $20. iOS/Android: One of our favorite tools for creating an automated, bulletproof backup solution, CrashPlan, now has mobile apps for securely viewing, downloading, and sharing your backed up files from within your iPhone, iPad, or Android device. The free mobile apps let you access common file types like photos or office files (spreadsheets and text files) from any of the computers that have been backed up to CrashPlan's servers. (You need a CrashPlan+ account with the online backup option to use the mobile apps.) In addition to browsing and viewing files, you can download them to your device or email them. Pretty much all you need to do is sign in with your CrashPlan+ account on the app to access everything, which is synchronized to the CrashPlan servers. This is your brain. And now this is your brain on YouTube. By using functional magnetic resonance imaging (fMRI) software, researchers at UC Berkeley created a visual representation of what our brains see when we watch a TV or movie. It works as such: scientists show subjects random clips and measure the corresponding cerebral activity. 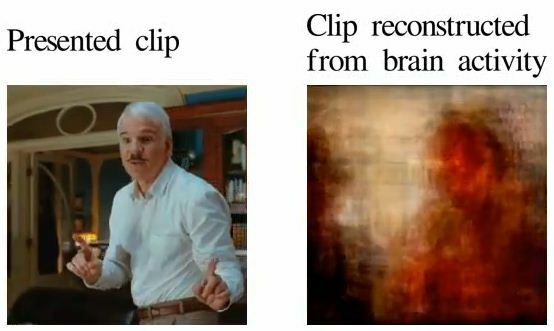 After the computer "learns" what vids evoke what brain activity, scientists feed 18 million seconds of random YouTube videos into the computer program where it reconstructs a movie representation of neural happenings based on the hundred clips most similar to what it sees. Although the method currently only works with images actually viewed, the future goal is to recreate what people see in their dreams and memories -- which could give doctors major insight to the minds of the mentally impaired, stroke victims or those with neurological disorders. Inception in real life isn't exactly around the corner, but the implications of this new technology are pretty mind-blowing. See for yourself in the video after the break -- no totem required. Scientists reconstruct images from our brains, plan to do the same for dreams (video) originally appeared on Engadget on Fri, 23 Sep 2011 03:15:00 EDT. Please see our terms for use of feeds. Samsung's "20nm-class" designations for flash memory production are frustratingly nonspecific, but smallest processes or not it's ready to crank out more chips than ever. 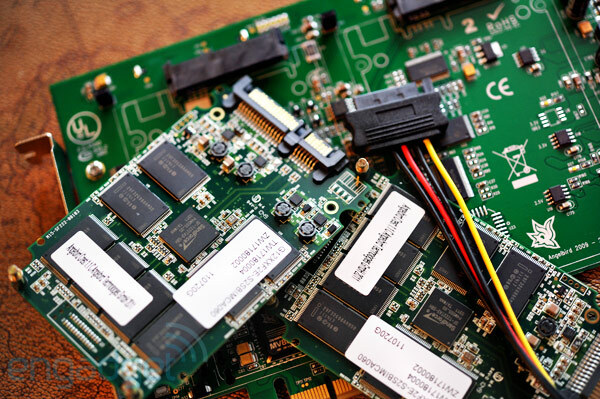 Reuters reports the electronics giant just flipped the switch on its first new production line in five years, one that it's calling "the industry's largest and most advanced memory fabrication facility." It could take up to nine months to get fully up to speed, but the increased production and reduced costs should keep the competition coming Samsung's way for storage no matter what their current legal situation. 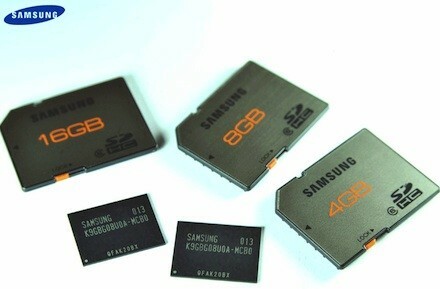 Samsung opens 'most advanced' 20nm-class flash memory production line originally appeared on Engadget on Fri, 23 Sep 2011 08:49:00 EDT. Please see our terms for use of feeds. drag2share: Hulu Plus cracks one million paying subscribers, but what's next? It's almost the official end of summer and just as CEO Jason Kilar forecasted back in July, Hulu has signed up more than 1,000,000 paying Plus subscribers. He made the announcement at a Goldman Sachs investor conference while also mentioning plans to invest $375 million in content this year, even as the questions of who will buy Hulu (if its owners actually follow through with a sale) and Kilar's own fate as its head continue to hang in the air. Hitting the projected numbers, rolling out service internationally and popping up at the f8 Facebook event are all signs Hulu is still making plans for its future, even if we don't know yet where that future will be. Hulu Plus cracks one million paying subscribers, but what's next? 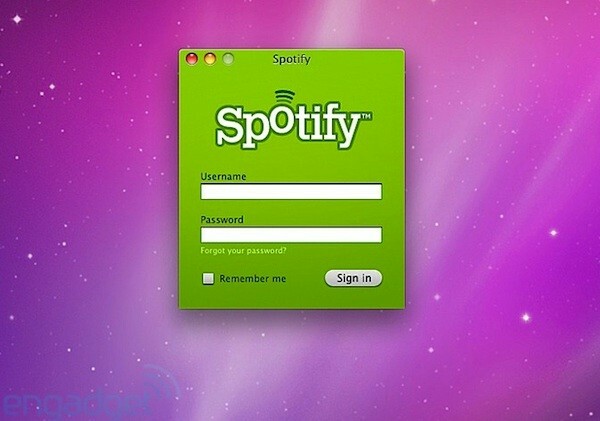 originally appeared on Engadget on Thu, 22 Sep 2011 17:33:00 EDT. Please see our terms for use of feeds. No rainbow of colors or stylized designs here, but Mac users do now have a pair of fairly sleek and streamlined new portable hard drives to consider from Western Digital. That includes the latest My Passport and My Passport Studio (pictured above), the latter of which boasts an all metal enclosure and a pair of FireWire 800 ports in addition to the standard USB 2.0 connector. Otherwise, both are available in 500GB, 750GB and 1TB capacities, and they are of course fully compatible with Apple's Time Machine. Look for the standard My Passport to run between $100 and $130, while the My Passport Studio starts at $130 and tops out at $180. Update: Storage Review has already taken a look at both drives, and is particularly impressed by the pricier My Passport Studio. Hit the links below for a closer look at them. Western Digital rolls out My Passport, My Passport Studio hard drives for Mac users originally appeared on Engadget on Thu, 22 Sep 2011 18:29:00 EDT. Please see our terms for use of feeds. It's only been a couple of months since Spotify kicked off its invite-only beta here in the US, but along with announcing new Facebook tie-ins it's finally ready to let the masses into the party. As if lifting the velvet rope weren't enough, Spotify has also seen fit to throw in unlimited streaming for six months on the free plan, instead of the usual ten hours. Click the source link below to grab your own account now (Facebook account required) but be warned: millions before you walked in for the free taste and ended up with a $10 / month premium service musical addiction. Spotify opens up to all in the US with free, unlimited music streaming for six months originally appeared on Engadget on Thu, 22 Sep 2011 20:34:00 EDT. Please see our terms for use of feeds. Mark Zukerburg is getting ready to take the stage at Facebook's f8 Developers Conference in San Francisco. Live streaming of the event begins at 9:30am PST/12:30pm EST and you can watch it live here. Here's what we know so far, Facebook has already pushed the news "ticker" and updated news feed with blue-triangle tagged "top stories" to their site. Last night we were tipped off to Facebook's "Listen With Your friend" feature by a Facebook employee's Twitter feed. According to the tweet, the "mind-blowing" feature will utilize the ticker feed to alert your friends what you're currently listening too and they can join in and listen live. Also, we expect Facebook to announce a deal with a video content provider, possibly Hulu, to give users access to video on the site. They're also rumored to be in talks with news sites like the WSJ to give users direct access to their content. Of course news about gaming on Facebook is expected, so get ready to for some new type of "'ville" announcement. The live stream begins at 9:30am PST/12:30pm EST with Mark on stage at 10am PST/1pm EST. We all love RED -- the company puts out some of the best pro-quality digital video cameras on the market. But, what about the other side of that equation? All of that 4K footage is worthless without something to watch it on. CEO Jim Jannard, notorious for his ability to build hype and mystery, took to the REDUser Forums to tease some details about an upcoming 4K, 3D laser projection system that will be targeted at both homes (presumably well off ones) and theaters. Details about the projector are still scarce, but we do know it won't be using TI's 4K DLP chip, and that it will rely on passive 3D tech rather than active, which Jannard said "landed in the La Brea Tar Pits." The image is apparently so bright and clear that it left Stephen Pizzo, co-founder Element Technica, "speechless." We just have one question: when can we expect our review unit? RED CEO teases 4K 3D laser projector, bound for theaters and (millionaires') homes originally appeared on Engadget on Thu, 22 Sep 2011 11:12:00 EDT. Please see our terms for use of feeds. An LTE handset on Verizon's network that doesn't feature a 4.3-inch display or a price tag that starts with a two or a three? Why, that would be the Pantech Breakout. The latest 4G phone on Big Red has finally been welcomed into the fold, available and ready to persuade more people to experience blazing-fast mobile broadband without frantically digging themselves out of debt. To recap, the Breakout features Android 2.3, a 1GHz single-core CPU and 512MB of RAM, 5 megapixel rear camera accompanied by a VGA front-facing cam and 720p HD video capture, a 4-inch WVGA (800 x 480) TFT LCD and a 1,500mAh juicepack. Worth a Benjamin? You make the call. 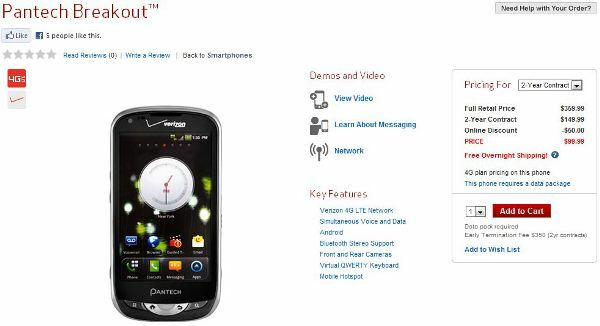 Pantech Breakout now available to bring LTE to the light-walleted originally appeared on Engadget on Thu, 22 Sep 2011 11:36:00 EDT. Please see our terms for use of feeds. Color launched to a fair amount of fanfare back in March, and it's not surprising, really -- the company was spearheaded by Lala founder Bill Nguyen, with ten of millions in backing from some top venture capital firms. The hype surrounding the photo-sharing app didn't take long to die down, however -- over the past several months, we haven't heard much from the startup. Turns out the Color team was rethinking the project from ground up. 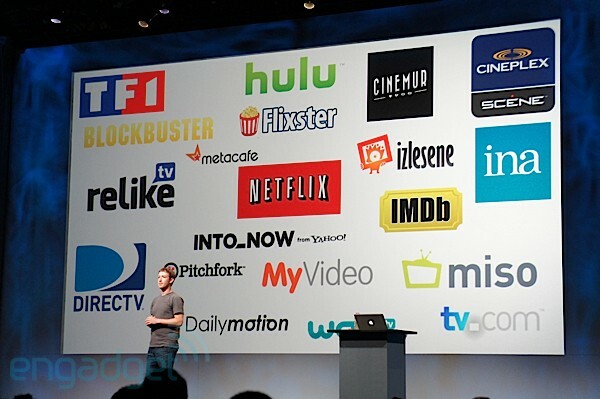 The company used f8 this week to launch a new version of the app built entirely around Facebook. 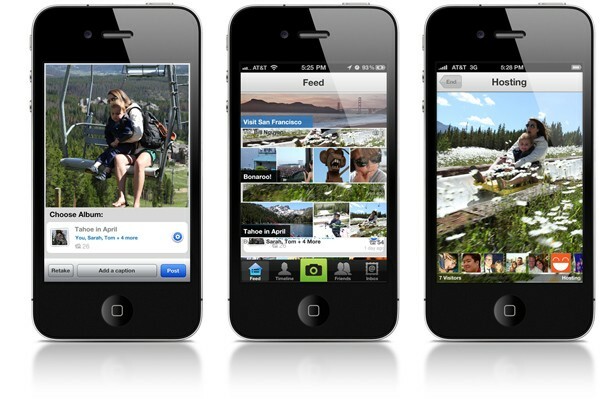 The new Color harnesses updates to the social Network's Open Graph protocol to introduce the concept of "visits," a social gesture that prompts a user to request a live video feed from a Facebook friend upon seeing an interesting photo in their feeds on the social network or in the iPhone / Android app. The brief video stream can be attended by multiple users, becoming something of a mini UStream built into Facebook. The new Color is currently in a closed testing phase, though interested parties can sign up to take part below. Color abandons app independence for Facebook, hopes you'll pay someone a 'visit' originally appeared on Engadget on Thu, 22 Sep 2011 13:57:00 EDT. Please see our terms for use of feeds. Facebook's f8 developer conference is going on today, and Andy Samberg Mark Zuckerberg has just revealed another part of his master plan for the social network. Open Graph will now integrate many of your favorite music services, including Spotify, Rhapsody, Rdio and MOG onto your Facebook page with custom apps, and will also bring video from Vevo, Netflix, Hulu and many more. Update: Unfortunately for Facebook users in the US, Netflix has confirmed that its Facebook integration will only be available in Canada and Latin America initially, due to a US law that "creates some confusion over our ability to allow U.S. members to share what they watch." That doesn't apply to the music services, however, and you can get an idea how Spotify will work in the video after the break. Facebook partners up to bring music and videos to your profile through Open Graph originally appeared on Engadget on Thu, 22 Sep 2011 14:23:00 EDT. Please see our terms for use of feeds. When the USDA switched from the food pyramid to a new plate graphic, it did so to simplify healthy eating guidelines, but critics had issues with the inclusion of dairy and some lack of details. Harvard offers an alternative version. 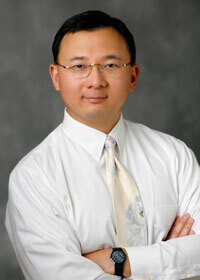 The Harvard School of Public Health has previously provided similar, yet slightly different nutritional guidelines to the USDA's recommendations that used to be in pyramid form, along the same lines: more whole grains instead of refined grains and less processed and red meat in favor of other protein sources. A big change in the Harvard plate is the substitution of a glass of water instead of milk. There's also now a bottle of healthy oils and more explanatory text. Harvard says its healthy version is "is free of the politics surrounding the meat and dairy industries," according to the article in The Kitchn. You can read Harvard's full recommendations for each section at the link below. I personally think it's a vast improvement. What about you? YouTube has announced a few new features, most notably the fact that all users in good standing can now upload videos longer than 15 minutes. To get the ability to upload long-form videos, you just need to verify your account, which you can do by entering in a code sent to your mobile phone. Additionally, YouTube announced the beta version of a 2D-3D conversion tool that automatically converts your video to 3D, but you'll still need a 3D display to actually view the videos. Finally, it has also integrated two video editing tools, Vlix and Magisto for online editing and effects. UK-based treehuggers can bust out the internet high fives now. Merry ol' Swindon just got the British isles' first ever commercial hydrogen refueling station. Part of a collaborative effort between industrial gas company BOC (which built and maintains the pumps), the Forward Swindon economic initiative and Honda, owners can roll their clean energy machines into the automaker's manufacturing lot for a fill-up. BOC's hoping the experience, which reportedly looks and functions much like a traditional gas station, will serve as an example of the private - public partnerships required to rollout infrastructure for alternative energy adoption. So, it's good news for the fuel cell-equipped handful of you cruising about Swindon town, or just passing through on a 'round the world tour. Of course, no official word as to whether Tilda Swinton plans to officiate the opening. Official PR after the break. 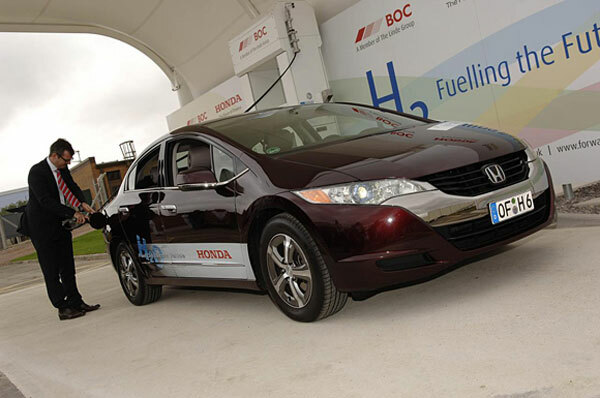 UK gets first hydrogen refueling station, Honda lot graciously plays host originally appeared on Engadget on Thu, 22 Sep 2011 03:11:00 EDT. Please see our terms for use of feeds. The Radar's arrival in this world was overshadowed by the massive Titan released on the same day. But if a batch of spy shots sent to TmoNews is to be believed, then this mid-specced 3.8-inch Windows Phone could be about to get some much needed 4G pep on T-Mobile's network. 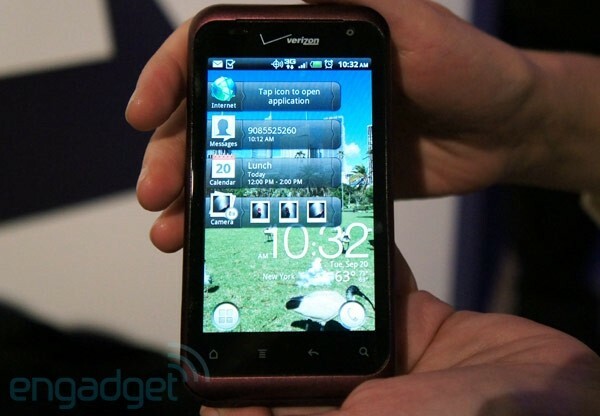 The photos also reveal plenty of magenta branding, Tango video calling and of course Mango running under the hood. Further corroboration probably won't come til we detect an HSPA+ Radar at the FCC, but with some decent 6/7Mbps real-world download speeds and hopefully some mobile hotspot action this could well be a device worth having. 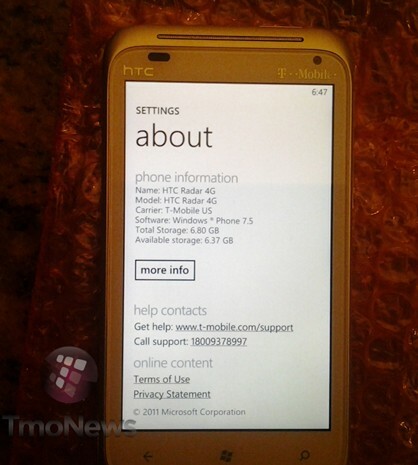 4G variant of HTC's Radar spotted in the wild, flying a magenta flag originally appeared on Engadget on Thu, 22 Sep 2011 06:03:00 EDT. Please see our terms for use of feeds. Guess who's back? HTC let us play with the new and improved Sensation XE in London last night and we even managed to find a secluded spot to bop our heads to the integrated Beats Audio and packaged YourBeats headphones. The XE is very similar to the original 4.3-inch flagship Sensation in terms of hardware, except there's a 300MHz clock-speed bump to 1.5GHz, a slightly larger 1750mAh battery and also a packaged 16GB (instead of 8GB) microSD card. But aside from that, we expect it'll be the audio credentials and related marketing hype that will attract most attention when the device reaches shelves later this month. Current Sensation owners probably won't even consider the upgrade unless they're chronic Dr. Dre fans, but what about those with more sticky icky icky devices? Should they be enticed by all the fuss? Click past the break if you think rap's changed and you want know how we feel about it. 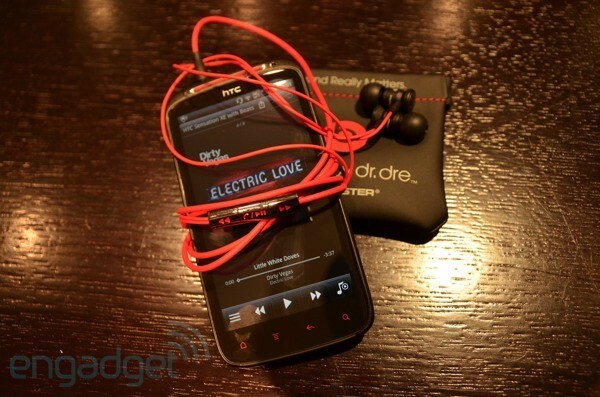 HTC Sensation XE with Beats Audio -- we go ears-on (video) originally appeared on Engadget on Thu, 22 Sep 2011 08:00:00 EDT. Please see our terms for use of feeds. HTC has now launched itself into the clouds, confirming that its latest Android phones will get an extra 3GB of storage with Dropbox. According to Pocket-Lint, the extra space will extend to all HTC devices running Sense 3.5, which at the moment means it's limited to the forthcoming HTC Rhyme. We probably won't see the Dropbox deal extend to HTC's Windows Phones though -- Microsoft reckons it has the whole file-syncing thing covered. HTC strikes Dropbox deal, will offer 5GB free on Sense 3.5 phones originally appeared on Engadget on Thu, 22 Sep 2011 09:35:00 EDT. Please see our terms for use of feeds.